DAKAR, April 24 (Reuters) – Congo's state miner Gecamines is starting legal proceedings to dissolve its Kamoto copper and cobalt joint venture with a subsidiary of Glencore, blaming the commodities giant for high debts that have weighed on the mine for more than 10 years. Gecamines said on Tuesday that debts owed by Kamoto to Glencore and its subsidiaries at the end of 2017 topped $9 billion. It said the commodities group charged the venture interest rates on loans that were too high. Kamoto, one of Democratic Republic of Congo's (DRC) biggest copper and cobalt mines, is 75 percent controlled by Katanga Mining, in which Glencore has an 86 percent stake. Gecamines controls the remaining 25 percent. Kinshasa is taking an increasingly confrontational stance toward foreign mining companies, including a new mining code passed last month that hikes royalties and taxes. 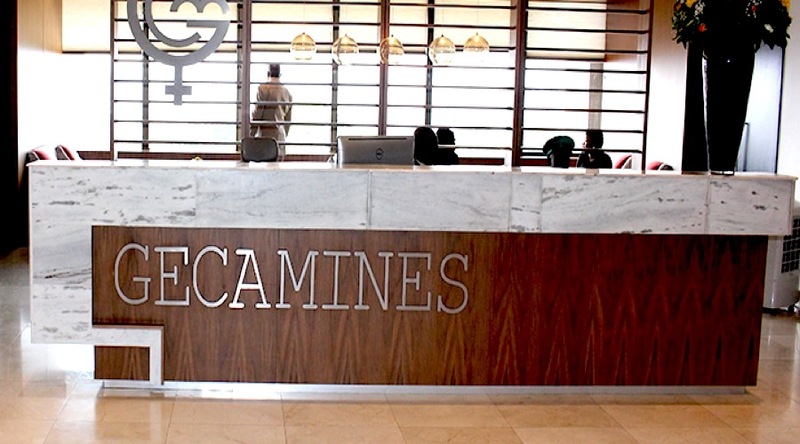 Gecamines said last year it planned to implement new controls to hold its joint venture partners accountable for poor financial performance at their mines. "Through a series of intragroup financial and commercial agreements, the majority shareholders group implemented a policy that resulted in draining, to its own benefit, the treasury and the wealth of the joint company," Gecamines said in a statement. Katanga Mining had said on Sunday it opposed dissolving Kamoto and was assessing options to address the mine's capital shortfall, including forgiving a portion of the debt. Katanga said it had attempted to engage in talks with Gecamines about recapitalising the Kamoto mine but that the Congolese company unilaterally launched legal proceedings. A court hearing on Gecamines' petition to dissolve Kamoto is scheduled for May 8 in Congo. Gecamines said in its statement that annual interest rates on Kamoto's debts had reached 14 percent. It said Glencore and its subsidiaries were able to borrow funds far more cheaply than the level at which it lent on to the venture. HSBC analysts were sanguine in a note on Monday about the impact of Gecamines' move, saying Katanga had several options to recapitalise the mine that were unlikely to impact the company's assets, liabilities and net assets. However, Elisabeth Caesens, director of Resource Matters, a Brussels-based group that advocates better resource management, said Glencore and Katanga could have more serious concerns. "Congolese authorities have cancelled fully operational projects in the past in less troubling circumstances. The scenario whereby the DRC court grants Gecamines relief should not be ruled out completely," she told Reuters. Congo is Africa's top copper producer and the world's leading miner of cobalt, a key ingredient in electric batteries, but Gecamines is heavily indebted. Shares in Toronto-listed Katanga lost half their value on Monday in response to Sunday's original announcement.